A special thank-you to Hilary, my friend and local Kansas City photographer for all of these beautiful photos! Please check out her Facebook Page or on Instagram if you're in the KC area. She's obviously great at taking architectural photos, but she's even better with people! The Kansas City Star is a newspaper based in Kansas City, Missouri, in the United States. Published since 1880, the paper is the recipient of eight Pulitzer Prizes. Also, Ernest Hemingway worked here. The most Instagrammable place in Kansas City for book-lovers. COMING SOON! Imagine a place where books live and breathe in a building overflowing with stories... The Rabbit hOle is bringing a national center for children’s literature to Kansas City! The OZ Museum is dedicated to all things OZ, offering an experience that attracts visitors from around the globe. The OZ Museum is home to exclusive exhibits featuring the unimaginable, from the earliest Baum books and OZ Parker Brothers board games to today's collectibles, which can be purchased from the Official OZ Museum Store. It is an enchanting experience appropriate for all ages. The Central Library serves as the main resource library for the system. 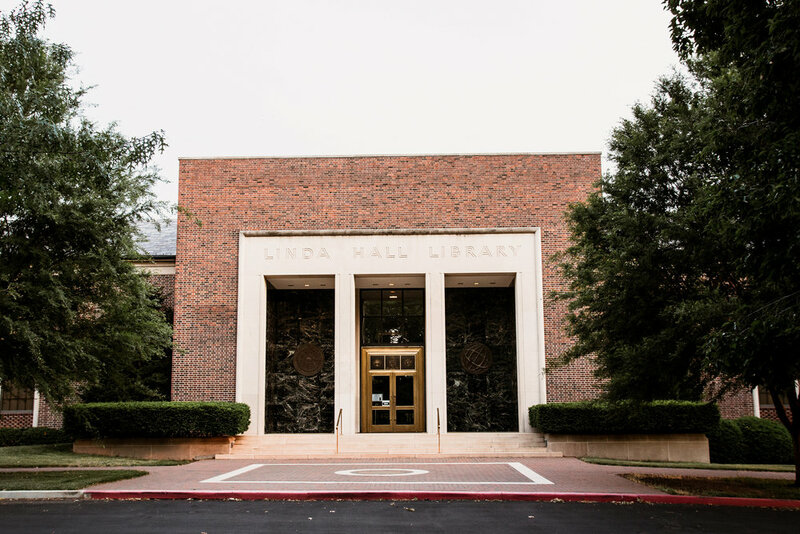 It houses the major library departments, including: Customer Service, Central Reference, Special Collections, Youth Services, Document Delivery, Collection Maintenance, Library Outreach, and all of the Administrative departments. The Plaza Branch Library is located near the Country Club Plaza. Free parking is available in the Plaza Branch's parking garage. There are designated children's and teen's service areas, as well as comfortable chairs and tables throughout the branch for customers to read, write, study or visit. Several meeting rooms are available for community or neighborhood meetings. The Plaza Branch has particularly strong collections in children's resources, arts & crafts books, and business materials. It also has large video, compact disc, and audiobook collections. Located in the heart of Westport and only blocks from the Plaza, the historic Westport Branch was the first branch of the Kansas City Public Library, opening its doors to the public in 1898. Today it stands as a prominent landmark in the Midtown community and provides a cozy environment and friendly atmosphere for its many patrons. I chose this one for its name. The dining room features a fifty foot long tile mosaic across from an open kitchen. The inviting full service granite bar seats up to eighteen guests with views of the outdoor patio planted with native trees and grasses. 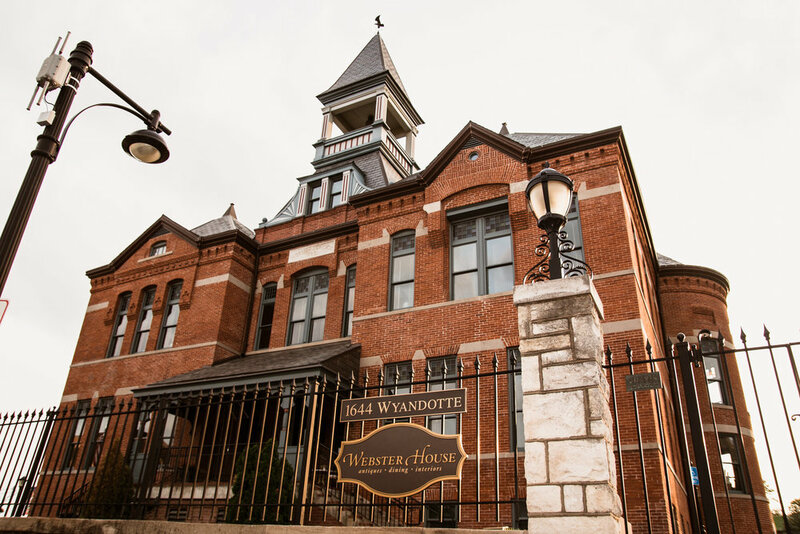 Located inside a restored Romanesque-style school next door to the Kauffman Center for the Performing Arts, Webster House offers guests a distinctive shopping experience and remarkable dining. Browse our shop which contains beautiful European antiques, gifts, clothing, jewelry and personal accessories. Dine in our award-winning restaurant with spectacular views of the Liberty Memorial and downtown with seasonal menus focused on ingredients from local producers. Midwest Poets Series, sponsored by The Center for Arts & Letters and the College of Arts and Sciences, enhances the literary and intellectual lives of Rockhurst University, the Kansas City community and the surrounding region. This annual event often features readings, panel discussions and writing workshops as well book sales and autographs. They include a wonderful guest list including authors, a number of small press publishers and writers as well as critique groups. A series of book-related events often held at KCAI Crossroads Gallery: Center for Contemporary Practice. Rainy Day Books is a full-line, full-service bookstore, carrying an array of carefully selected new books for adults and children alike. We produce 300+ Author Events each year. We make accurate personal reading recommendations for individuals and their families & friends. We also carry a wide selection of boxed and individual greeting cards. Among our other personal services: We special order books daily, provide complimentary high quality gift wrapping, and we carefully pack and ship books all over the world. Willa's Books specializes in used and rare African-American books, first editions, as. well as the works of a wide variety of authors. The distinct aroma of vintage books lures you in, reminding you of lazy summers spent trailing fingers along shelves and shelves of books from the libraries of your youth. It calls you to board the magic paper carpet for journeys to places and ideas beyond your day to day routines, or to close yourself in those worded castles of depth and weight and challenge, sitting at the feet of those who’ve traveled before and beyond you. White Light Bookstore and Crystals is a New Age, Spiritual and Metaphysical Bookstore that is a unique resource to anyone searching for inner knowledge, angelic wisdom and spiritual growth.